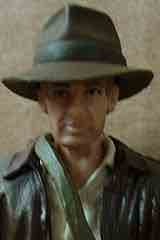 In 2008, Indiana Jones was the most-wanted toy property after decades of absolutely nothing on the market. This Indiana Jones figure was from the then-new fourth movie, which was part of an unfortunate combination of being from a movie that soured over 20 years of fan goodwill with a toy line that, on the whole, was not as strong as Hasbro's other lines of the time. Waves 1 and 2 hit around the same time, and it was dead on arrival with waves 3 and 4 being much tougher to find. This Kingdom of the Crystal Skull action figure came from the second batch of figures, borrowing pieces from other Indiana Jones figures and making this a much older version of the jacketed adventurer. Harrison Ford's likeness has been tricky for Hasbro to capture as Han Solo, and most of the Indy figures are a little off as well. Much of this has to do with deco, not sculpting, as you could go through hundreds of figures before you found one with eyes that didn't look like they were painted by someone who has never seen a human face. The engineering of these figures-- this one in particular-- were on par with or better than the contemporary Star Wars line. 14 points of articulation, swappable hands, and a generous helping of accessories make this a fantastic idea on paper, however most samples of the toy are just awful. 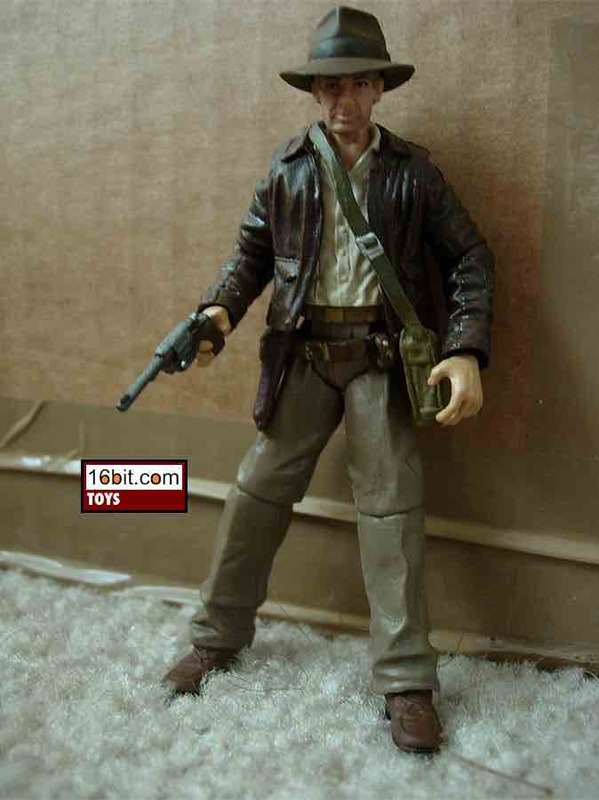 Odds are you want one Indiana Jones action figure in your collection-- just to have one-- and this is probably your best bet, just make sure you buy it in person. All of his accessories are excellent, from his whip to the pistol and the titular Crystal Skull, plus his range of movement is actually quite good. He shouldn't have too much trouble sitting or standing, but he has a hard time looking good. If you get one, make sure you examine the face closely prior to purchase, otherwise you will likely be angry you got one. This entire line is an example of one of Hasbro's few genuine recent misfires in the 3 3/4-inch scale despite being a well-sculpted, highly-demanded, nicely-accessorized release of one of the most iconic film heroes of all time.